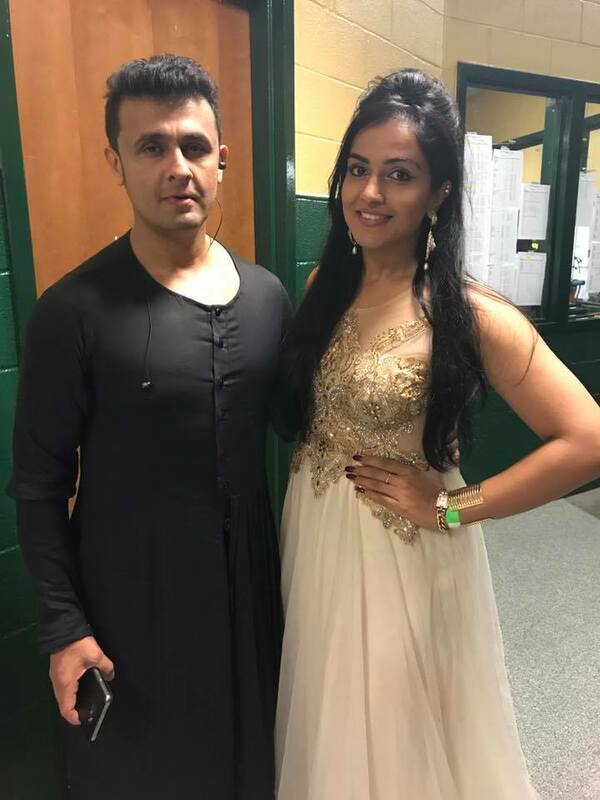 The NRI Bollywood singer-performer from London and former Indian Idol talent, Harshi Mad joins King of Bollywood Music Sonu Nigam and Pakistani sensation Atif Aslam at a two day concert in Toronto-Canada and Virginia-Washington. The special live concerts were organized by Balaji Entertainment and Zee TV. The high octane performance opened the show with‘Chura liya hai’ with smash hit numbers like Main tenu Samjhawan, Bulleya, Jugni getting the audience to sing along. The performers’ popularity was clearly evident and needs no mentions as the crowd went into frenzy with each song. Harshi supported both Sonu Nigam & Atif Aslam with their tracks and a few numbers from her current crop of hit playback numbers. The collaboration with them is not only a concert for Harshi but also a way to connect with Bollywood lovers across the world. With over 12000 fans packed in, the concert set a record for musical shows in Washington area. Sonu Niigam’s and Atif’s popularity raised the bar for Harshi to keep up to a crowd that would not settle for anything less. Harshi Mad, has performed in over 1600 events worldwide. She sprung into the limelight at a tender age and emerged as one of the top contestants of popular reality Television show ‘Indian Idol’. She had an outing with acting as well, sharing screen space with Sonakshi Sinha. Harshi started her career in playback music with ‘Jaegerbomb’ a number she shares with Ankit Tiwari & DJ Bravo for the film “Tum Bin 2” & directed by Anubhav Sinha. She followed it up soon with ‘Raat Saturday ki’ with Mika Singh for the movie ‘Love Day’. The power packed performer, was also a part of international promotional leg of blockbuster Bollywood films such as ‘Befikre’ and ‘Tubelight’ hosted at noteworthy venues which still remain a pipe dream for many popular singers. Clearly elated by the tremendous response that Sonu Nigam, Atif Aslam and Harshi Mad received, she exclaimed “It was a whirlwind tour and I would love to come back to this crowd, they were fabulous”. Amaal Mallik composes the wedding song of the year for Mubarakan!